The Flax Trust Music Awards took place in the Harty Room at Queen’s University on June 28th, 2017. Three finalists through to Grand Final. Recipients received bursaries of £2000 each with an opportunity to win a further £6,000 on October 20th 2017 at Holy Cross Church. 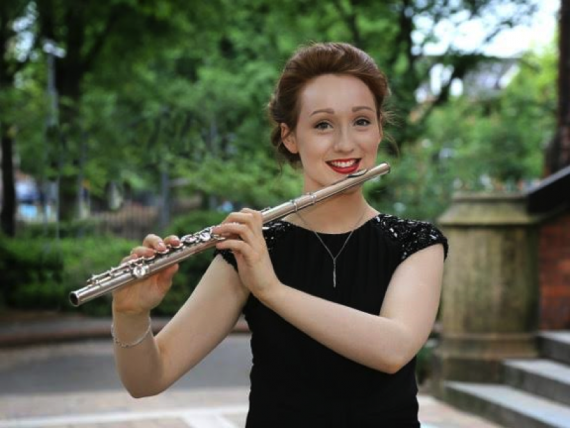 Amy is from Co. Donegal and has just completed the third year of her studies for the BA in Music Performance in Flute at the Royal Irish Academy of Music, studying under Vourneen Ryan. She was a member of the National Youth Orchestra on many occasions. She is currently Principal Flute of the Royal Irish Academy of Music Philharmonic. Amy is a multiple prize winner and bursary recipient at Feis Ceoil Dublin, Fies Ceoil Sligo and Feis Doire. In February 2015, she won the Yamaha Music Foundation of Europe Woodwind and Brass Bursary for Ireland. Amy has taken Masterclasses with Sir James Galway, William Bennett, Patricia Morris, Lisa Beznosiuk, Andras Adorjan, Barbra-Gisler-Haase, Noemi Gyori, Randy Bowman, Romolo Balzani and Emma Elkinson. She attended Masterclasses with Sir James Galway at the Galway Flute Festival in Weggis, Switzerland in July 2015, where she was awarded the Wm. S. Haynes Headjoint by Sir James and Lady Jeanne Galway. In August 2015, she won the Alan Gillespie Ulster Bank Award for the most promising musician under 21 at the Clandeboye Festival, Belfast. In October 2015, she also took part in the launch of the Donegal Story Fest in the Central Hotel, Donegal Town and recorded with RTE National Symphony Orchestra Mentoring Scheme for their 2015/16 and 2016/17 seasons. In 2016, Amy won the Anita Loretto Cup for the Most Promising Musician of the Year at Sligo Feis Ceoil and the RTE Lyric FM Bursary and RTE Studio recording, which was broadcast on RTE Lyric FM on ‘The Lyric Concert’, presented by Paul Herriott. In July 2016, Amy was awarded the Gemeinhardt Flutes Scholarship by Sir James and Lady Jeanne Galway. In August 2016, Amy gave debut solo recital as part of the Rosemary Street Summer Recitals in the First Presbyterian Church Rosemary Street, Belfast, sponsored by Northern Ireland Opera and the Royal Irish Academy of Music. Amy recently deputized with the Ulster Orchestra for their tribute concert to Sir James and Lady Jeanne Galway. Most recently, Amy was awarded the Gaiety Bursary by the Royal Irish Academy of Music. 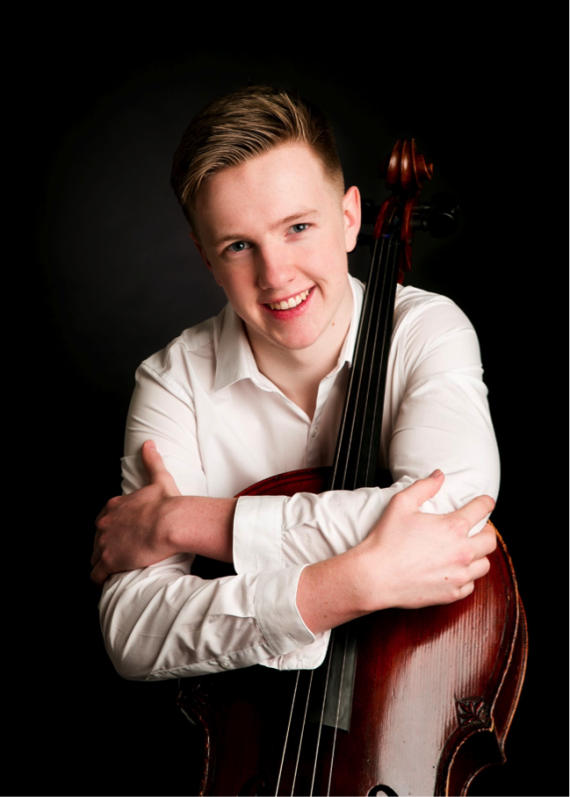 Born in 2000, Killian White began studying cello with Martin Johnson in 2007, and since 2010 has studied with Christopher Marwood at the Royal Irish Academy of Music. Recently at RIAM he won the Senior Concerto Competition prizes which included the Colin Staveley Award for strings, the Maura Dowdall Award, and a future solo performance with the RTE Concert Orchestra. In 2016 he won the Audience Prize at Camerata Ireland Clandeboye Music Festival, and he has won many prizes at Electric Ireland Feis Ceoil including the Clyde Twelvetrees Trophy for Senior Concerto, 2015. He was awarded the National Concert Hall Young Musician Award in 2013 & 2015, and in 2011 he was a prize winner at Noor Muusik Young Musicians’ Competition in Tallinn, Estonia. Killian has performed as soloist with the Hibernian Orchestra, Dublin, the Kaunas Symphony Orchestra, Lithuania, the Tallinn Chamber Orchestra, Estonia and the New York Concerti Sinfonietta at Carnegie Hall. Killian also enjoys ensemble and orchestral playing. In January 2016 he was principal cellist with the National Youth Orchestra of Ireland. In 2015 & 2016 he participated in the Verbier Festival Junior Orchestra in Switzerland and has been invited back for the 2017 Summer Festival. He has a particular passion for chamber music and performed in the National Concert Hall Chamber Music Gathering in January 2017. In July 2017 he will perform as part of the Aduno Quartet at the West Cork Chamber Music Festival. Robert Finegan (19) is currently in 2nd year, studying music performance in DIT Conservatory of Music. He began his musical education with the Ardee Concert Band where he now plays Solo Alto Saxophone in the senior band, regularly performing solos with them. He has also played with the Ulster Youth Orchestra, the SinfoNua orchestra and this summer he will travel to Utrecht with the Irish Symphonic Wind Orchestra to play at the World Association for Symphonic Bands and Ensembles international conference. He was a recipient of the School of Excellence Award with DIT Conservatory of Music and St. Peter’s Male Voice Choir in 2013 and also the Macardle Young Classical Musician Award in 2014. Other awards include the Briscoe Cup and Concerto competition in DIT as well as the ESB Feis Ceoil Senior Saxophone and coveted McCullough Cup for Woodwind Concerto. Having won the Senior Saxophone competition he was invited to play in the ESB Feis Ceoil Gala Concert in the National Concert Hall. In April 2017 he made his Concerto debut with the DIT Symphony Orchestra conducted by David Brophy. 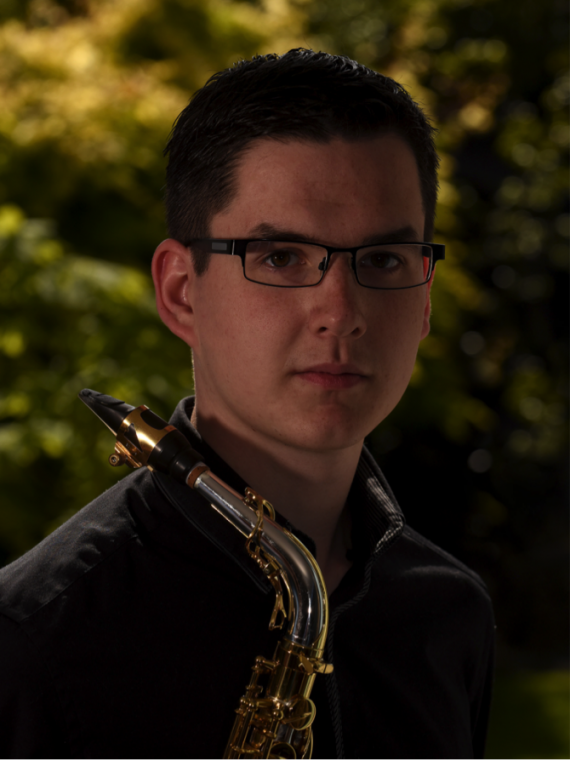 After taking part in a masterclass with composer Ian Wilson and world-renowned saxophonist Ties Mellema he was invited to travel to Amsterdam to attend summer masterclasses. While there he took part in lessons with Ties and Arno Bornkamp.